I love Barry M nail polishes and I ordered some new colours from www.asos.com recently. Aqua Glitter is one of my new purchases and love it. I stopped using glitter on my nails for a while, but I really missed it to be honest. 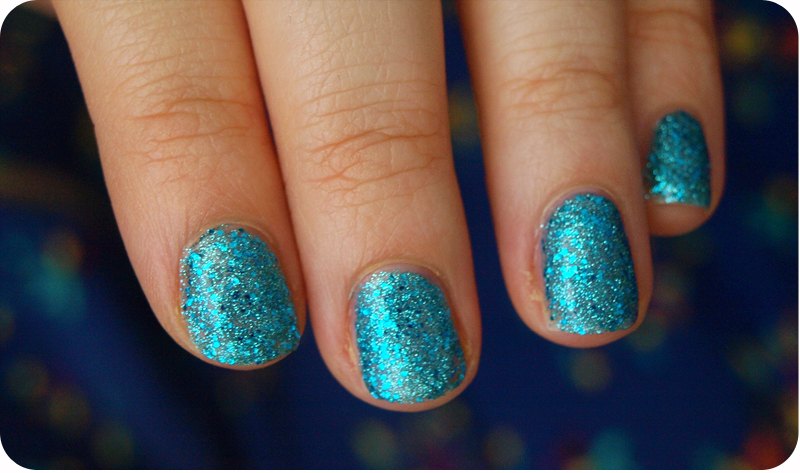 I like a bit of sparkle :) Barry M Aqua Glitter is a beautiful and bright shade of blue/turquoise. I applied two coats of it on top of a clear base coat, but you can also use it on top of another colour. It looks lovely applied over dark blue, mint green and black polish. It costs £2.99 and you can get it here with free delivery. PS.What do you think of my new header?